Mice Control Port Elizabeth » Tel: 0828105617 » Port Elizabeth The Port Elizabeth Pest Control Experts! Rodent or mouse control seems nearly impossible here in Port Elizabeth but here at Port Elizabeth Pest Control we make it look easy. We have Port Elizabeth mouse control specialists standing by to come treat your home or business for mice or other rodents. With a single call to Port Elizabeth Pest Control we will send a Port Elizabeth mouse control specialist to your home or business to control all your mouse problems. Each pest control technician is trained to treat your rodent or mouse control problem uniquely and identifying the least disruptive most effective and safe treatment method. Mus musculus, the common house mouse foun here in Port Elizabeth. Adults range in size between 7cm - 10cm with a tail between 5cm and 10cm. They have short hair and a light belly with little hair on their tail or ears. Mice are mostly nocturnal and love foods containing fatty proteins. 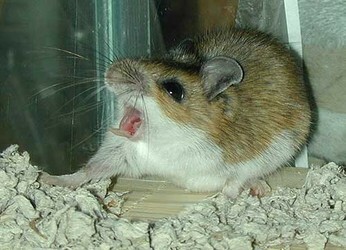 Mice need very little water to survive and get all their liquid sustenance from their food. If you need a little help controlling your mouse problem here in Port Elizabeth call Port Elizabeth Pest Control and let the mouse control experts deal with it.